A racket in which a gang offers help to people struggling to pay monthly vehicle lease instalments and later steals and sells the vehicle has been busted by Mirihana police. The gang has been advertising that vehicles are being sought for a rent-a-car service and individuals unable to pay their lease instalments could benefit from the scheme. People who have been finding it difficult to keep up their monthly payments often responded to the advertisement believing that it was a better option than falling into arrears. “The men take custody of the vehicle and thereafter a gang member approaches a businessman, claiming that he is in want of money. In return for a loan of about Rs. 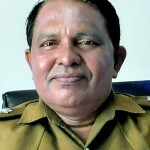 150,000 he offers the car as security to the businessman,” Inspector Nimal Karunaratna of the Special Branch of the Mirihana police told the Sunday Times. not been returned and he has been left with what turns out to be a stolen vehicle,” IP Karunaratna said. He said that the police had so far seized up to seven such vehicles and three people involved in the racket have been arrested. “In one of the cases a new lorry with a freezer used for fish transport and valued at more than Rs. 4.5 million has been ‘mortgaged’ for Rs. 150,000 to a businessman in Kotahena,” the inspector said. “Two months later the police received information about the vehicle and it was seized from the businessman and the man involved in the deal was arrested,” he said. The man had taken the vehicle from a trader in Gampola who had been finding it difficult to pay the lease. Although the Gampola trader had been told by the man who took over the vehicle that the lease payments would be made the instalments had not been paid. The duped trader then came to know that the person who had taken his vehicle had used a false identity card number and that the phone numbers he had given were disconnected. In another case an N-16 Nissan car valued at Rs. 1.7m had been “mortgaged” for Rs. 100,000 by the same suspect who had taken it over from a person who had been finding it difficult to make lease payments. The same suspect, a resident of Bandaragama, had also taken an Allion valued at Rs. 5m and “mortgaged” it for Rs. 100,000. Two more suspects from Mt Lavinia and Padukka have been arrested and charged with involvement in similar rackets. One of them had taken over a mini-lorry promising to pay the monthly lease, but eventually changed the paint and licence number of the lorry and mortgaged it for Rs. 75,000 before disappearing. He also took Rs. 150,000 for a car worth Rs. 3 million.Police investigations revealed two of the suspects were regular visitors to casinos where they played with large sums of money. 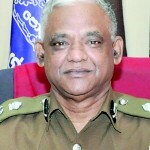 Deputy Inspector General of Police (DIG) Sumith Edirisinghe told the Sunday Times that people who accept vehicles as a guarantee to provide cash should careful as they could lose their money and also face legal action for retaining stolen property. He said people who rent out vehicles also should be careful. “There are instances where even parts of vehicles are removed,” he added. “People should also be careful of persons who try to sell vehicles at low prices as they may vehicles that have been rented out,” he said. Muslims like UPFA biriyani – not Govt. Is it RIP Avurudu kevum and crackers as CoL bites?